Newcomer Family Obituaries - Gary Allan Thomas 1983 - 2018 - Newcomer Cremations, Funerals & Receptions. 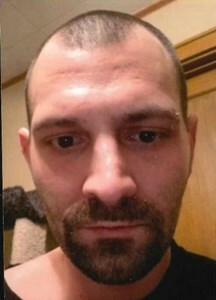 Gary Allan Thomas, 35, of Akron, passed away on November 30, 2018. He was born in Akron on May 23, 1983. Gary will be dearly missed by his mother and stepfather, Kathy and Jerry Wengerd; brothers, Joe (Kristen) Higginbotham and Bill (Ashley) Higginbotham; stepbrother, Jerry Wengerd; grandparents, Ida and Paul Mignano and Betty Wengerd; several nieces and nephews. Visitation will be held Tuesday, December 4 from 10-11, followed by an 11:00 a.m. funeral service with Major David Payne officiating at NEWCOMER FUNERAL HOME, 131 N. Canton Rd., Akron. Add your memories to the guest book of Gary Thomas. I know it’s been awhile since I have seen Gary but we talked on fb now and then, I will always remember the days when I lived in Ohio and Gary would come and stay at my place with me and my son Thomas, you will truly be missed by so many Gary. Sorry for ur loss Kathy my love and thoughts are with u all. Gary ,has been a good friend....he was very upbeat. Always seemed to be full of energy. When ever we would get caught up in conversation, he always left me with a smile on my face. Seem to always say something that was funny or do something that was funny. Never would have thought we would have lost a great soul like Gary. there was never a time when I wouldn't stop to talk to Gary if I seen him standing out front of his house or just simply walking down the street' I would always stop just to see how he was doing and what he was up to. He will be deeply missed by many and never forgotten. I could hug u one last time. Im sorry for your loss. I know Gary had some problems to deal with but his heart was always in the right place. Gary (Crazy 8) was just at my place replacing my rotor on my tower. He was happy telling me about making money working with (Superfly) and having fun doing so. Telling me about what he has been doing to his radios to make them louder and have more output power. Gary you now have the highest antenna in your area please keep reaching out on it to your family and friends and keep them safe at all times. Bump Bump. Me and Garry were only 1 year apart so I have known him for 35 years we have been causing havoc for many of years with Gary it was always a good time never a dull moment with us . We had such a strong bond as cousins we should have been brother and sister. If I jumped he jumped no matter what we go down together he was my partner in crime but always had a big heart for the people he loved . Garry was the only person to match my craziness and didn't care what people think just like me we definitely share that crazy Thomas blood we had the best times bad and good and all the crazy memories we share I will always hold on to them because no one could ever come close to the bond we shared we will continue on our crazy cousin adventures when we meet again keep my momma company until we meet again I love you Gary life will not be the same with out you Thomas family for life ?? I am so sorry the time that I have known Gary enjoyed talking with him and he was a good worker I just wish I had more time with him it hurts that's he is gone may he be at rest .